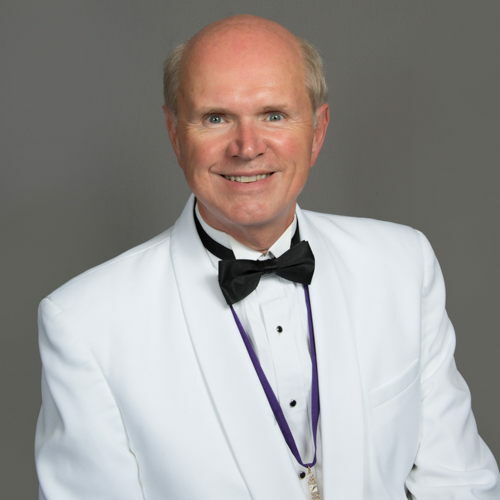 Steve Paquette (Syracuse University, 1977) was elected international president at the St. Louis Karnea. Previously he served as vice president, second vice president, treasurer and secretary to the Fraternity. He also served as president of the Eastern Division from 1981-1985. He was house corporation president and chapter advisor at Gamma Omicron and has served the Fraternity as a Phonarch and member of an Alumni Supervisory Committee. Professionally, he is a senior litigation partner at Bousquet Holstein PLLC in Syracuse, N.Y. where he lives with his wife, Cindy. They have three adult daughters.